Sadly, that's the world we live in and live with. 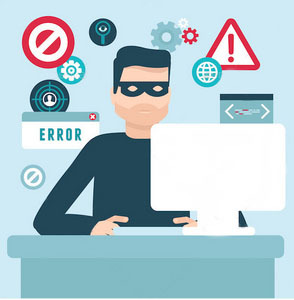 In the cyber world you have to protect your website and visitors from these predators, and be ever vigilant. No website owner wants to see this message on his site. Getting hacked is not a nice feeling because you feel so violated. It’s also a nuisance and big headache. There’s no way to determine the probability it will happen to you. Some sites may go years without a single instance, while others may be a constant victim. Only a few of my client since my inception in 2011 have been affected and the vast majority have had a blemish fee existence. My own site has also not been immune. Database driven sites like those on the WordPress platform are frequent targets. There are also many more incidents with WordPress than the other CMS’s like Joomla and Drupal because there are more sites using it. This is one of the reasons why WordPress updates its software regularly. Buying professional protection for your website is a lot like car insurance— you’ll be glad you have it when you get in an accident. The difference is, you must have car insurance by law in Trinidad & Tobago, but there is no such law to have website ‘insurance’. You may enjoy a good run without it, or never have an attack, but if you do, be prepared to ‘stand your bounce’. I’m sure you’ve heard of Murphy’s Law! When your site is hacked and malicious code is implanted, search engines ‘blacklist’ your site and this of course is not good. You then have to get the site cleaned and off the blacklist, else you risk serious impact to your site’s rankings. Purchasing a general protection plan mitigates against this by continually scanning your site and alerting you when their is an infection. Clean-up is not automatic though and has to be requested. Note, I’m saying that it alerts you of the attack, NOT prevent it. More robust (and therefore more expensive) protection plans actually prevents hacker attacks via a website firewall, and prevents from getting on the blacklists. It depends on your pocket and acceptable pain level. A basic level website monitoring and clean-up service costs $100 USD per year (pocket), and though your site gets cleaned quickly, many visitors may see the warning message (pain). 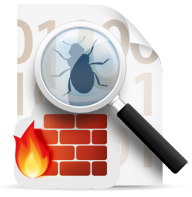 A website firewall level protection costs double, around $200 USD per year. 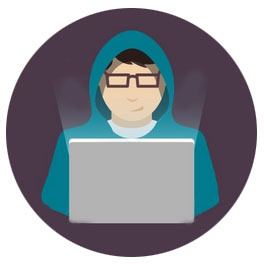 Many clients who buy their own hosting often buy everything the hosting company throws at them (Go Daddy is notorious for this), and quite often end up buying an SSL Certificate. Seeing the ‘https’ in the browser may be reassuring but many don’t understand what it does or doesn’t do. 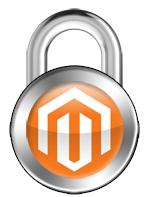 My Magento clients with the TTD payment gateway all have SSL certificates. Don’t get a false sense of security either when you see the site seal ‘Secured by…’ either. An SSL protects your user’s traffic from being understood should it be intercepted by a 3rd party. It does NOT prevent your site from being hacked. 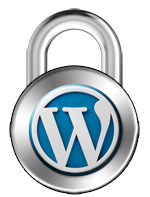 Whether regular WordPress website or Magento online store with SSL, basic or broad protection is available. Don’t wait till it’s too late. The question is not if you can afford it, it;s if you can afford not to have it. They are evil characters pure and simple. It doesn’t matter who they are or where in the world they’re from, they’re bad news anyway. Some may be out for kicks, hacking into sites because they learnt how, and want to impress their friends. They are often nerdy geeks with too much time on their hands and no girlfriends, compensating for their lack of manhood. Others are real criminal elements, and you really don’t want to know anything, except that you have to stay far.